Aachen Dutch Shepherds is featured in the FIRST book ever written about the Dutch Shepherd in the Chapter for REPUTABLE BREEDER to get your Dutch Shepherd from! Registered pups by our European imported/titled bloodline sires and dams~bred to excel for family, police, military, service dogs, any K9 sport, therapy, agility, dock dogs, obedience, rally, SAR, cadaver, etc… Plus naturally protective guardians for your family! EXCEPTIONAL references~our pups have homes from Australia to Canada, Mexico to Alaska, California to Maine~with many States in between. Our Aachen Dutch Shepherds have been chosen to START the Dutch Shepherd breed in various countries! When you want and demand only the best~Aachen Dutch Shepherds~Dogs of Distinction. Health and hip guarantees. Will ship. SEE VIDEOS, videos of sire and dam, grandparents, etc! European import pedigree. HIGHLY proven to produce pups to do anything you would like to do with a Dutch. Some VERY exciting news for your purchase! And if you need puppy purchase funds, you can now apply for financing of your entire pup purchase, (puppy plus flight and/or home delivery costs)! Take your pup home to enjoy TODAY, with low monthly payments. Approval in minutes! Pups by our 100% European imported/titled bloodlines~bred to excel for family, police, military, service dogs, any K9 sport, therapy, agility, dock dogs, obedience, rally, SAR, cadaver, etc… Plus naturally protective guardians for your family! EXCEPTIONAL references~our pups have homes from Australia to Canada, South Africa to Puerto Rico, Mexico to Alaska, California to Maine~with many States in between. 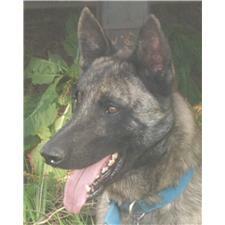 Our Aachen Dutch Shepherds have been chosen to START the Dutch Shepherd breed in various countries! When you want and demand only the best~Aachen Dutch Shepherds~Dogs of Distinction. Health and hip guarantee. Will ship worldwide.